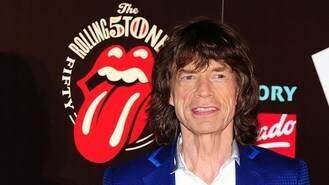 The letters, which are said to paint a picture of Jagger as a "poetic and self-aware" 25-year-old, were written to American-born singer Marsha Hunt while the Rolling Stones frontman was in Australia. Marsha, who provided the inspiration for the Stones' 1971 hit Brown Sugar, has tasked Sotheby's with selling 10 letters, which go under the hammer in London on December 12. Estimated to realise £70,000-£100,000, the collection, which includes song lyrics and a Rolling Stones playlist, will be the centrepiece of an English literature and history sale. Gabriel Heaton, Sotheby's books specialist, said: "These beautifully-written and lyrical letters from the heart of the cultural and social revolution of 1969 frame a vivid moment in cultural history. "Here we see Mick Jagger not as the global superstar he has become, but as a poetic and self-aware 25-year-old with wide-ranging intellectual and artistic interests." Written from a film set in the Australian Outback just after the Rolling Stones' landmark Hyde Park concert, the documents provide an insight into the cultural events of the time, including the first moon landing. Dr Heaton added: "They provide a rare glimpse of Jagger that is very different from his public persona: passionate but self-contained, lyrical but with a strong sense of irony." The letters were penned by Mick for his lover while he was filming the movie Ned Kelly and their relationship was a closely-guarded secret. In a statement released by Sotheby's, Hunt said of the well-preserved letters: "They're addressed to me. I was 23, American-born, Berkeley-educated and London-based. Despite his high profile and my own... our delicate love affair remains as much part of his secret history as his concerns over the death of Brian Jones and the suicide attempt of his girlfriend, Marianne Faithfull."